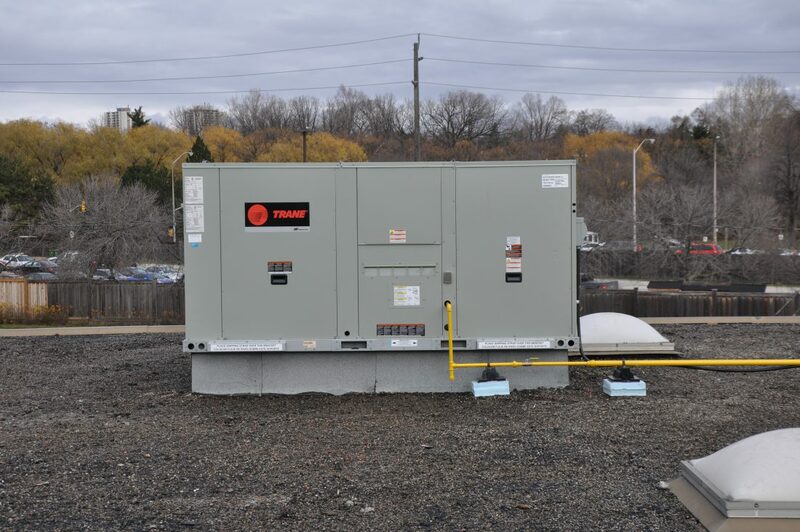 Heating and Air Conditioning For Your Office, Plant, or Warehouse. 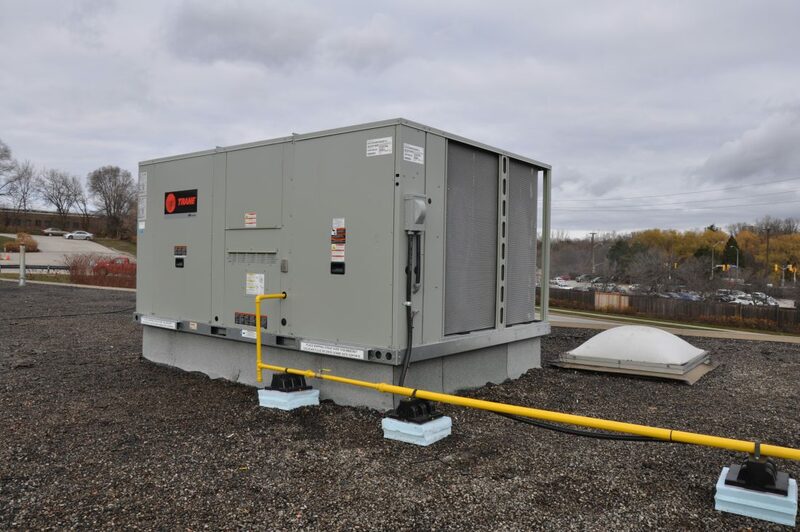 No matter how small or large your commercial space may be, we show love to all your rooftop units. As they age, it’s no longer worth keeping a clunker that will bring you headaches and complaints from employees or tenants. 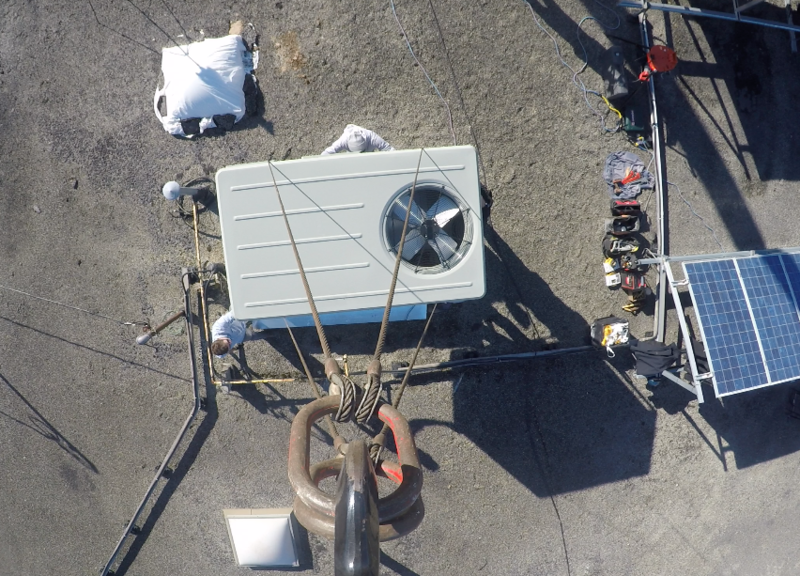 These project pictures and video will show property owners and maintenance managers how Blackrock HVAC can safely and successfully replace and install rooftop units. 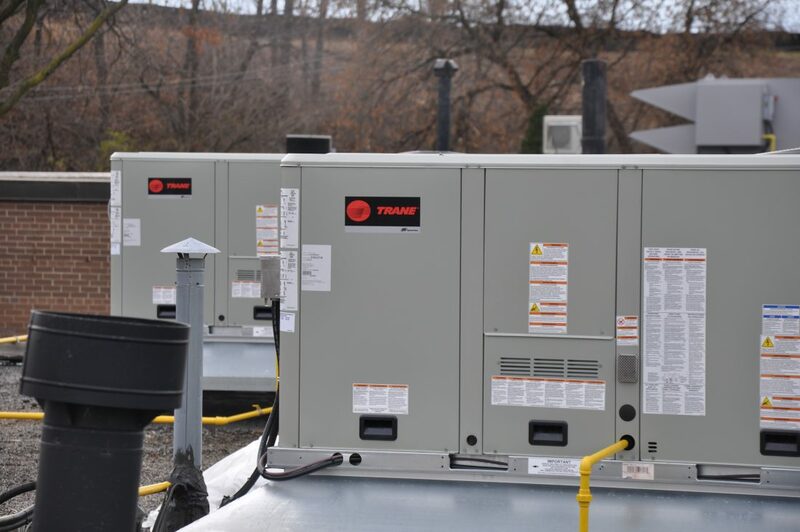 We’re loyal to brands that offer the best performance with the least amount of maintenance, that’s why we choose TRANE / American Standard. 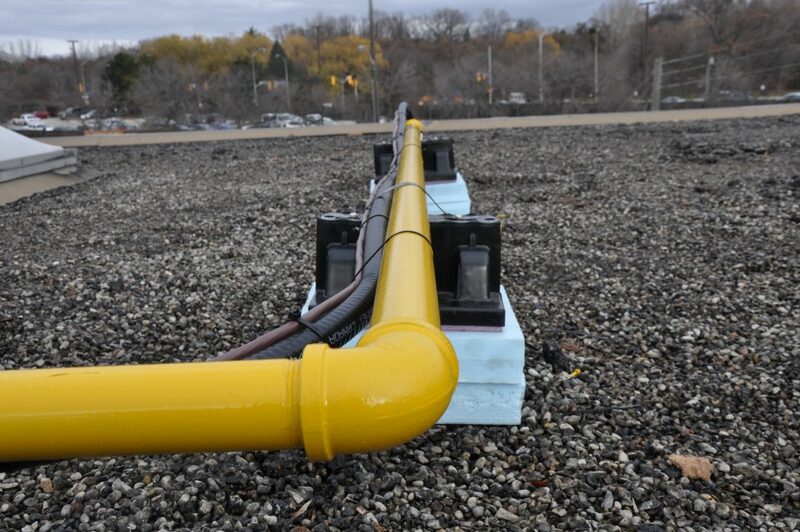 We’re very serious about the strength of your HVAC, please call (647) 388-5744 for pricing. 15 Ton Voyager Series. 400K BTUH. A detailed copy of work completed with hi-res images for your records. 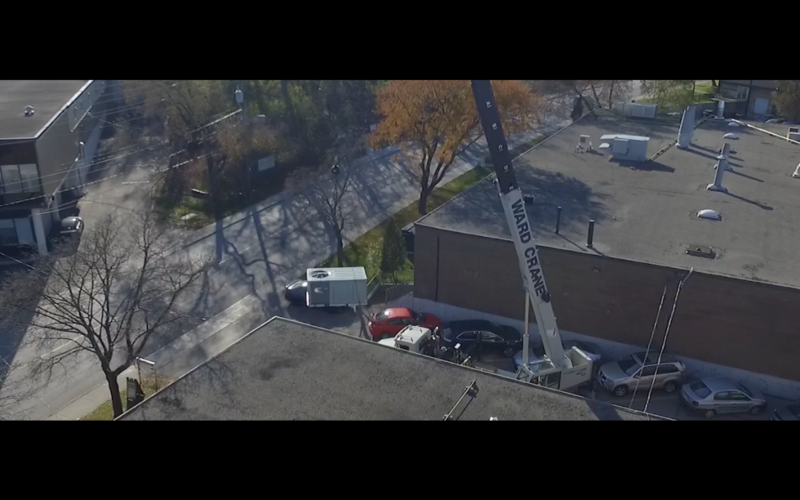 Working with professional crane companies. 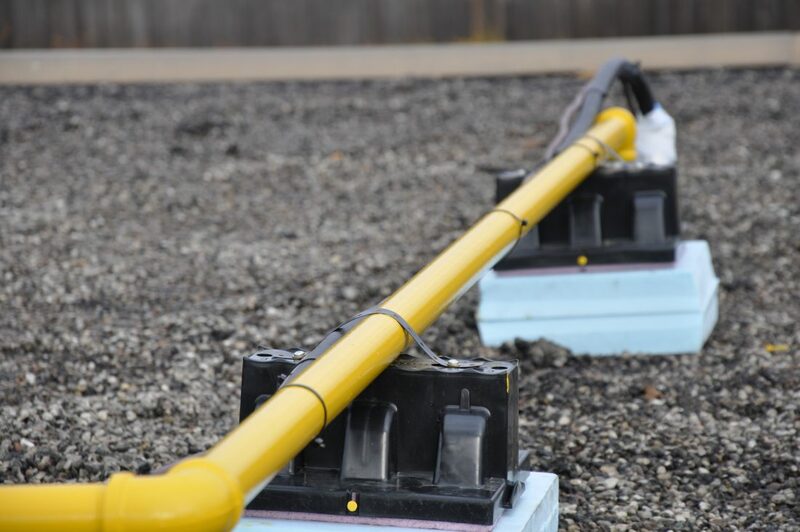 Custom cut and threaded gas lines for your building. 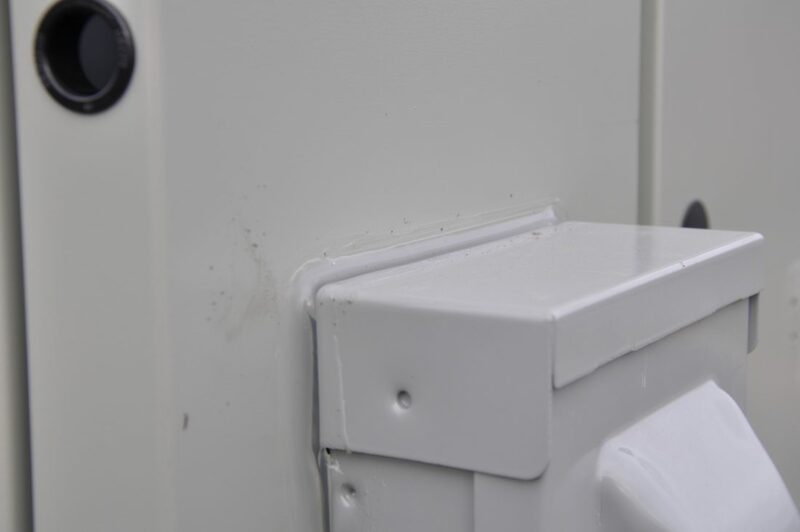 A bead of silicone around the disconnect box prevents moisture and insects from entering. A rooftop family of high performers atop your business.